Lakisha Marie Ward-Green lost control of her 2007 Cobalt, above, in an accident that killed her passenger. The car was later recalled for a flawed ignition switch. A woman who spent three months in jail for involuntary manslaughter and reckless driving had her conviction overturned Wednesday after her lawyers successfully argued her accident was caused by GM's flawed ignition switch. Lakisha Marie Ward-Green was driving 16-year old Robert Chambers home from school in September 2010 in Penn Hills, Pa., when the ignition switch shut off the car's power, disabling its power steering and power brakes, according to her attorney, Robert Hilliard. The 2007 Chevrolet Cobalt she was driving hit a pole, bounced back into the street and struck a school bus. The boy was killed instantly. The airbags in the car did not deploy. Ward-Green pleaded guilty in the case. The car's data recorder showed that she had been driving 75 mph in a 35 mph zone five seconds before the accident. But Hilliard said the same data recorder showed she braked and slowed the car down to 30 mph as she swerved to avoid a school bus that pulled into the street. However just after she slowed the car to 30 m.p.h., the ignition switch shut off and she lost power brakes and power steering. That's when the accident happened. 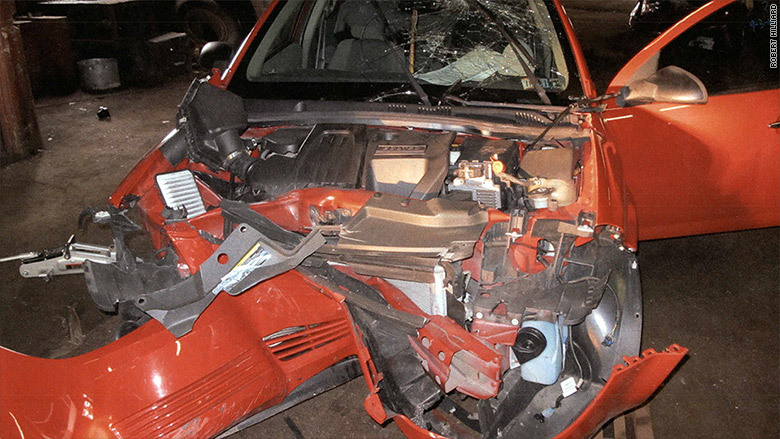 Hilliard and Pennsylvania attorney Victor Pribanic argued the fatal crash was the fault of GM's flawed ignition switch, which was recalled by the company three years after Ward-Green's accident. The ignition switch failure has been tied to air bags that failed to deploy. "If the airbags had deployed the boy would have survived," HIlliard said. 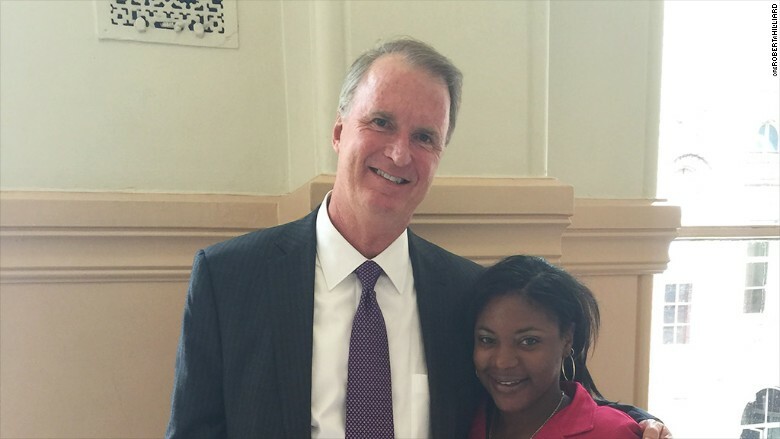 Lakisha Marie Ward-Green, right, with attorney Robert Hilliard. GM had no comment on the judge's ruling Wednesday. But GM has admitted that its employees knew about the flawed ignition switch a decade before the 2014 recall began. It has set up a compensation fund to pay those injured and the families of those killed. The fund has identified 124 people who were killed as a result of the ignition switch problems. Hilliard said both Ward-Green and the Chambers families received compensation from the fund. "An innocent woman was convicted of involuntary manslaughter only because GM's sole concern was hiding its own evil conduct even if it meant Lakisha would go to jail," said Hilliard. Hilliard had previously overturned the conviction of Candice Anderson, who was also convicted of involuntary manslaughter when the car she was driving crashed and killed her boyfriend in 2004.